I t’s the season of giving and New Bedford Police and Safe Zones are joining forces again this holiday season to collect unwrapped toys for children in need. 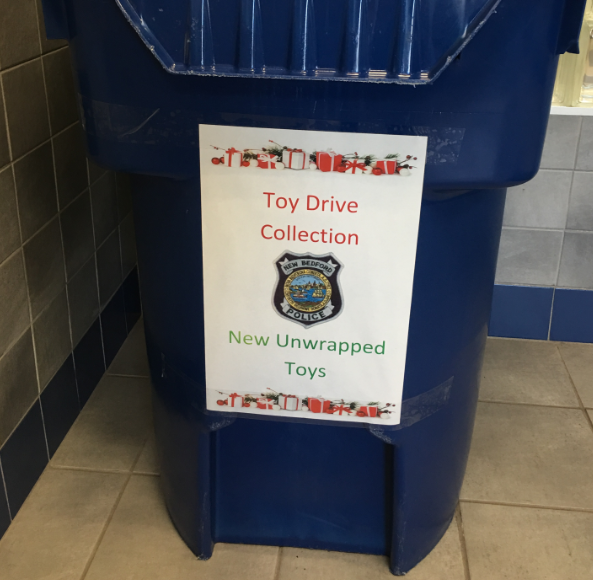 Donation boxes are in place at all police stations, Station 1, 572 Pleasant St.; Station 2, 168 Cove St.; Station 3, 781 Ashley Blvd. and police headquarters, 871 Rockdale Ave.
Stations are open 24/7 for donations.